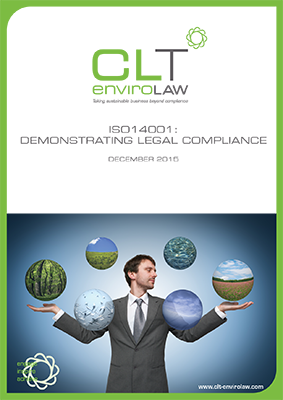 What are the legal and financial impacts of non compliance with environmental permits? In the recent UK court of appeal case of R vs Sellafield Ltd (2014), the company was fined £700,000 for failing to comply with a condition of an environmental permit. The company failed, for a period of 4 months, to ensure that the setting up, testing and monitoring equipment was done properly. The judgement reflected the view that senior management is ultimately responsible for failures to comply with environmental laws. The judge said the ‘management failures demonstrate a custom within the company which was too lax and… to a degree complacent, and senior management must bear its share of responsibility’.